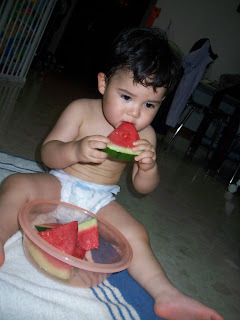 Home Family Singapore www.sg To Makan or Not to Makan - I Love My Food!! 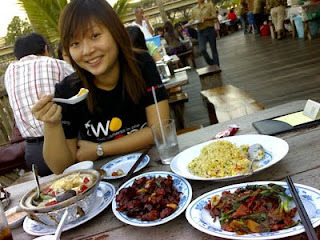 To Makan or Not to Makan - I Love My Food!! Whenever I talk to any of my Singapore mates, it doesn't matter what the topic starts out about, it always inevitably ends up with us discussing food... where the best places to eat can be found, what are some of the great deals to take advantage of and which dishes or cuisine are the favourites in which to indulge? In Singapore, we call it 'Makan' (Malay for "to eat"). It is one of the most commonly used words, and this is no wonder when the variety of foods and restaurants is hands-down the best in the world. I've spoken about some of my favourite places in Singapore to 'Makan' in many of my articles. Now it's time to summarize my all-time Top-10 List. The important thing to remember, is that the locations and prices depend completely on what culinary experience you're after. Before I moved here, I was told by a local friend: "eat like an Aussie, and you'll pay Aussie prices; eat like a local and you'll pay local prices". This is all too true - in fact, I can eat my "pork ribs and prawn noodles" for lunch at the "Yong Heng" food court (hawker centre) for lunch, which is in walking distance of my work - total damage is just around S$3.50. Yet, if I take my wife and baby to dine in the evening at "Bottle Tree Park" and partake in the Chilli Crab and a variety of other dishes, I will be lucky to walk away without paying less than around S$80 to S$100. Now food is a very personal matter, so my favourites will be much different to yours or the man next door... so please, no disagreements here, this is my own personal Top-10 List. Oh no - I got to number 10, but still have so many more to add - like where to get spicy fish or pepper rice (so many, many more foods *sigh* - I should've done a Top-50 list)... I really, really love my food!!! You can check out more places to "Makan" here... whatever your preference, you will definitely be able to satisfy your hunger in Singapore!! My ever-increasing wasitline will attest to that!! You can always also checkout the world famous Prata at Jalan Kayu - I call it Sengkang's "Lygon Street" (if you've been to Melbourne, you could associate with this - but it's certainly not a stretch of Italian restaurants).